Storage Quarters is a comprehensive, full service company specializing in self storage, document storage, records management, and secure document destruction. 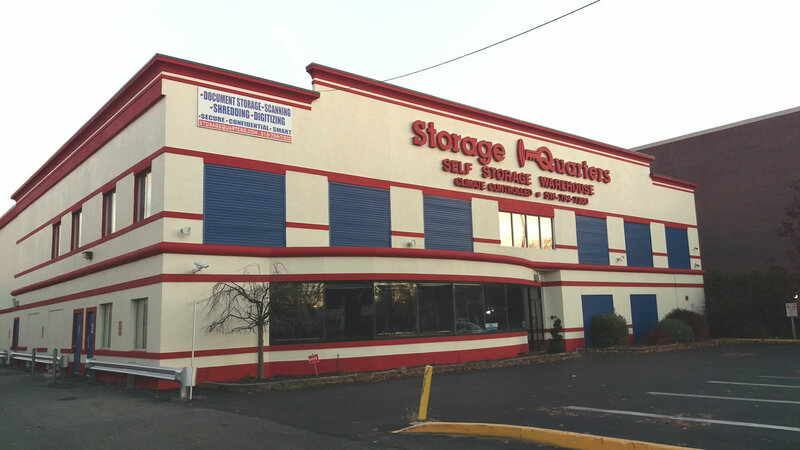 We have more than 35 years of business experience serving the Tri-State area and have been leaders in the storage industry for more than 15 years. Our business is family owned and operated and caters to a myriad of customers ranging from individuals to large businesses. We are equipped to offer a full suite of products and services including Self Storage, Records Storage with Scanning, Shredding Services, and Box & Co, our on demand storage with pick-up and delivery services at the press of a button. All of our storage centers are local, state of the art facilities, with climate controlled environments, pest free, fire sprinkled, monitored and alarmed 24/7 for your protection. Our offerings provide customers with convenient, highly secure, and low cost solutions to meet their storage needs.